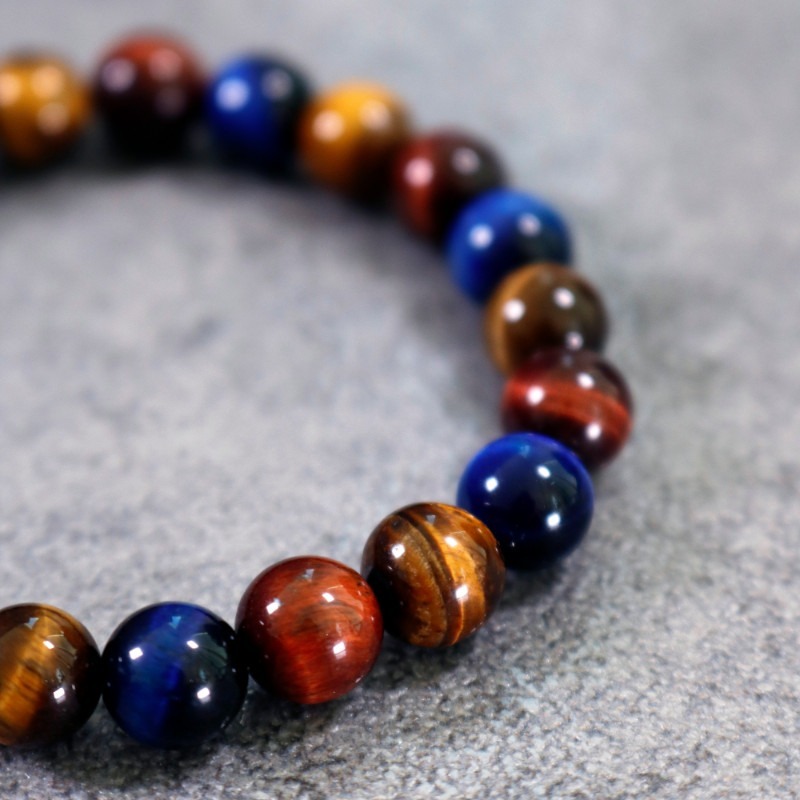 Healing balance bracelet gives sharpness, overview and a clear mindset. And may give you strength in trouble and help you move on. 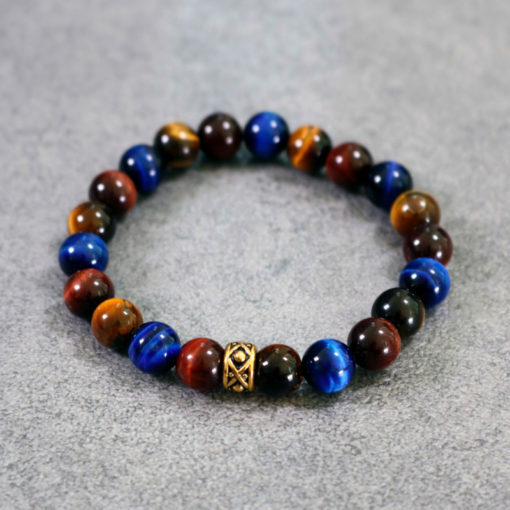 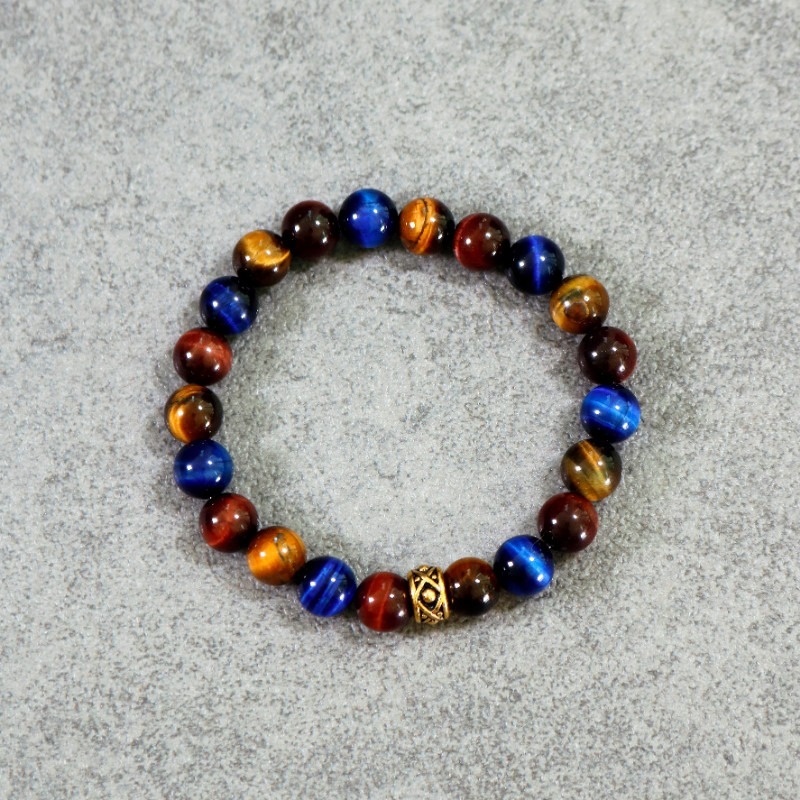 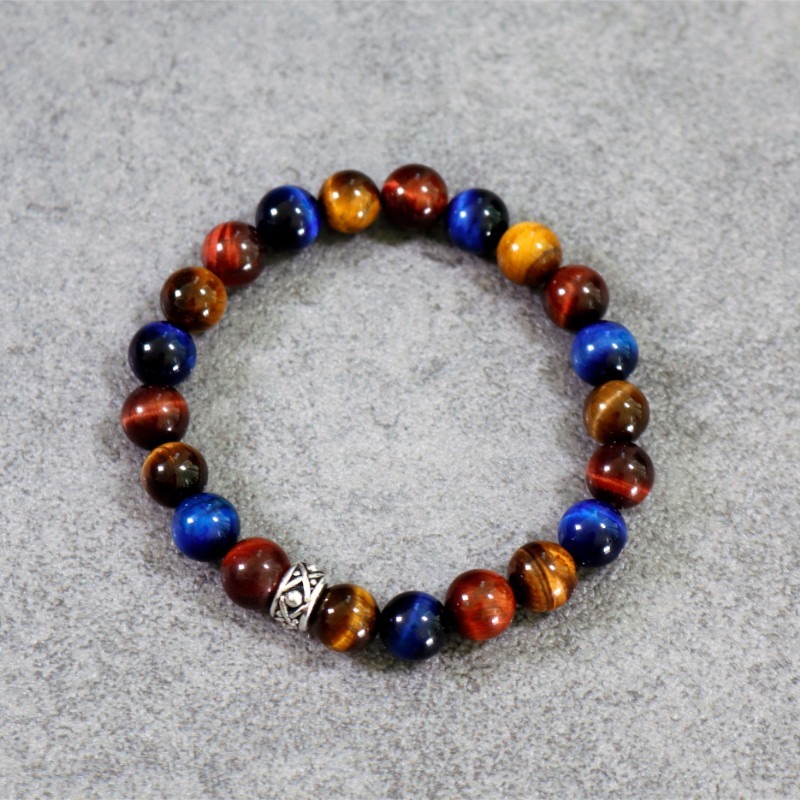 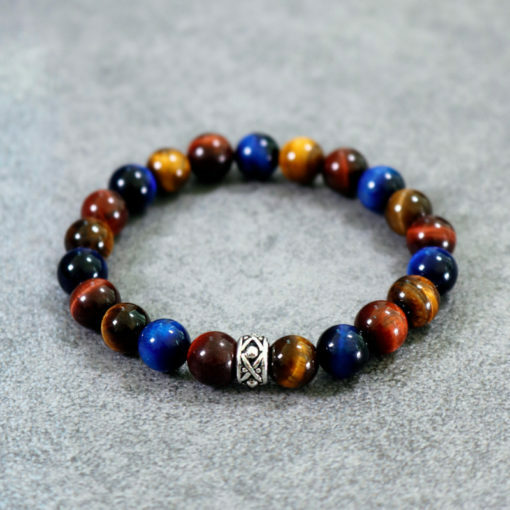 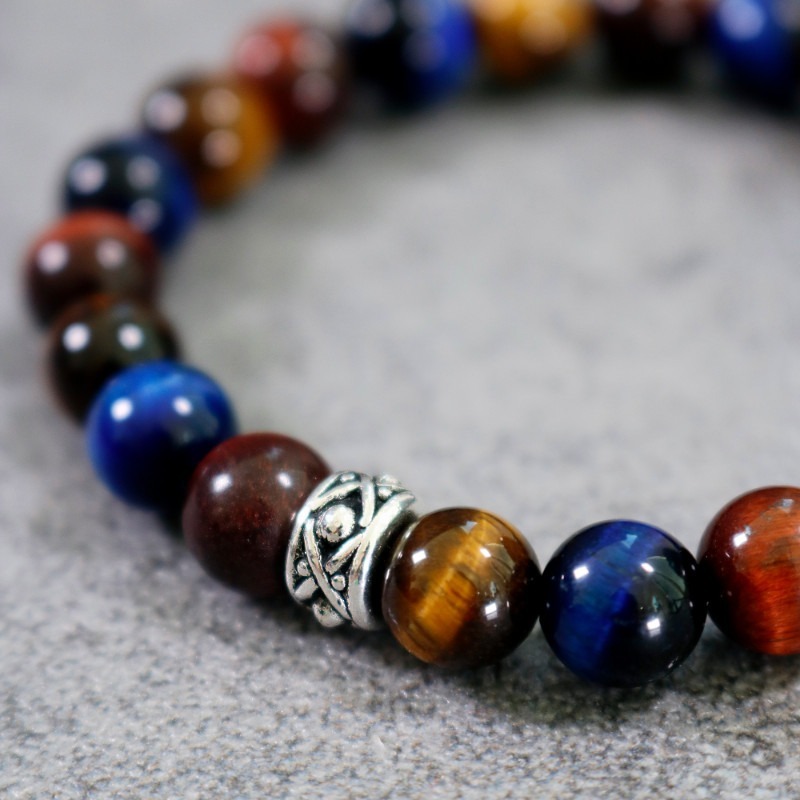 Healing balance bracelet is a bracelet with beads of red, yellow and blue tiger eyes and metal details antique plated with fine silver (999.9 / 1000 silver) or 22 carat gold threaded on an elastic rubber thread.